There are obvious moral issues that come up as a result of the subject matter of Eastwood’s American Sniper, but that isn’t really what the film is about. Instead, it’s a story that touches on the effects of war on the psyche of someone who’s job – simply put, is to kill anyone that poses an immediate danger to the Soldiers he’s hired to protect in Iraq, post 9/11. 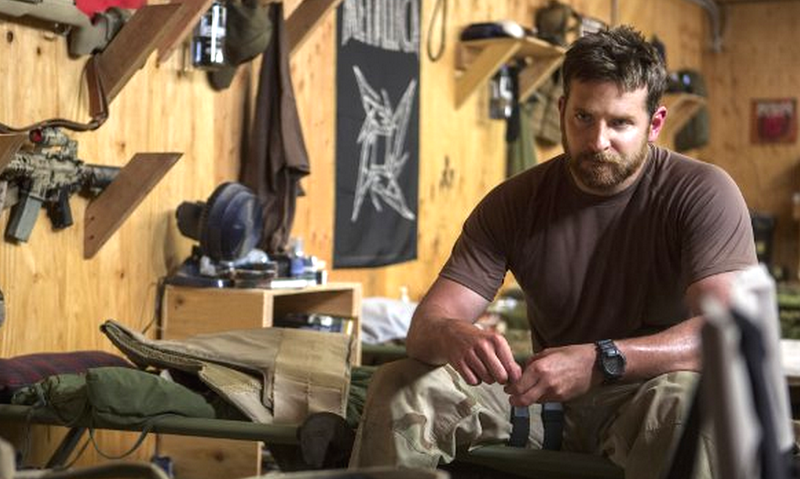 Bradley Cooper does a brilliant job of portraying Chris Kyle, the most lethal sniper in U.S military history – and he does it to great effect more with well placed silences than words. If you know the Chris Kyle story, you already know how this movie ends and towards the end you’ll be glad about how Eastwood dealt with the the last few scenes; particularly what you don’t see just before the real life footage begins. In terms of Eastwood’s body of work, American Sniper is good, but it’s no Million Dollar Baby (2004) or Gran Torino (2008). Some have said the film feels more like a dictation of the subject’s life than an actual movie and I don’t completely disagree. It’s worth watching anyway because you’re curious and you know Bradley Cooper good.